I continue to put my all into revising 17 & Gone and I’m thrilled to say I finished my draft around midnight last night and then sent it in. My entire body ached. Every muscle. How this is even possible from sitting in various chairs (café chair, wheelie chair at writing space, wheelie chair at home) for hours on end is beyond me… It’s not like I’m writing and doing gymnastics at the same time… though it feels that way. EXHAUSTED. I felt like I was sinking into the mattress when I collapsed into bed last night, and I’m still in a daze a whole day after. But did you catch the good stuff? I finished another draft of my book! In my post-draft delirium I witnessed two exciting things happen today. And the second thing that happened while I continued to be in a post-draft delirium this afternoon, was this odd piece of news someone told me about on Twitter: Malia and Sasha Obama went to the Strand Bookstore in New York City and bought some books to read. GUESS WHAT ONE OF THOSE BOOKS WAS. I am not kidding. I thought it was a joke at first, but here, it’s on People.com! 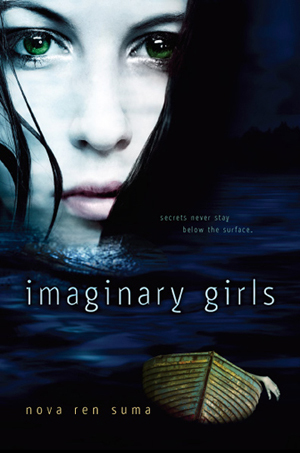 I really hope Malia and Sasha like Imaginary Girls. It’s a book I wrote for my sister—and I love more than anything when sisters read it. My sister and I are both so exciting about this! What a delirious day, no? Come to think of it… I’m so tired… my eyes can’t focus… I am actually not sure if I even woke up today? Do you think I’m still asleep, still dreaming? As you can imagine, I was over the moon. It seemed to me that even if Bloomsbury ultimately weren’t interested, another publisher soon would be. To score such a positive response on my first editorial submission was surely a sign of great things to come! Well, not with any speed it turned out. Bloomsbury subsequently rejected The Start of Something, as did four other editors my agent submitted to. In the meantime, I’d been working on a young adult book about a sixteen-year-old boy who discovers on Christmas Eve that his ex-girlfriend (who he’s still in love with) is pregnant with his baby. When I reached the end of that novel (my fourth) in April 2003 I was pretty spent from having accompanied main character Nick Severson on what was a highly emotional journey. I also believed in my bones that it was the best thing I’d ever written. With high hopes I forwarded the manuscript to my agent. Naturally, I expected some criticism and revision suggestions. What took me by complete surprise was the revelation that my agent actually didn’t like I Know It’s Over at all. They called it “ponderous,” complained that the story was too long, that “not much actually happens in the novel, in a sense” and therefore advised the book needed 35–50 pages cut. They also couldn’t understand what Nick and Sasha saw in each other and found the dialogue stilted. Basically the only things they didn’t have a problem with were the subject matter and some of the writing. It’s not an exaggeration to say I was devastated as I read my agent’s thoughts. I’ll be the first person to admit that I write novels in which not a lot happens in a sense, but that’s not something that I think of as a negative. Most of my books are about emotional journeys (those are the kind of stories I’m most passionately drawn to) and not populated with a lot of external events. They’re character-driven, contemplative entities by nature, and what my agent wanted was to strip what I believed to be an emotionally nuanced story down to a skeleton. My surprise quickly gave way to disappointment. I distinctly remember that when my husband got out of the bath I was in tears about my agent’s email because I knew I couldn’t have it both ways—I couldn’t keep the essence of the book I’d wanted to write AND keep my agent (we were just too far apart in our views). And at that point having an agent was as close as I’d ever come to winning the brass ring of publication. Parting ways with said agent seemed like an enormous step back. Who knew if I’d ever find another one? For me, this crucial difference of opinion regarding I Know It’s Over became a definitive turning point. I’d previously believed my chief ambition was to be published as a young adult author, but in the space of a few minutes I discovered it was much more important to be true to the novels I wanted to write. Even when it set me back in terms of publishing. Otherwise, publishing wouldn’t feel like a prize at all, more like a penalty. I told my agent we weren’t on the same wavelength about I Know It’s Over and that, unfortunately, I didn’t agree with their suggested changes, particularly about the cutting of what amounted to twenty percent of the book. As we discussed the matter, it became obvious that my agent felt as strongly as I did and we agreed to dissolve our business relationship. There were no arguments and no bad will between us—it was just a classic example of “artistic differences” with no objective wrong or right. It’s quite possible the changes my agent suggested may have led to a sale also—an even quicker one maybe—but if so, they would’ve led to the sale of a book I didn’t want to write. What would be the point? 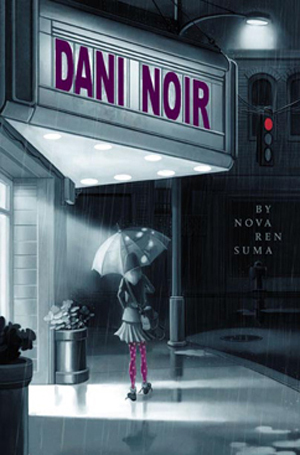 As it happened, I didn’t land another agent until early 2006 and didn’t receive a publishing offer for I Know It’s Over until June 29th of that year. The novel was in the very same shape as when my first agent had read it, but I Know It’s Over never did turn into an easy sell. Every British publisher who saw it rejected the novel in the end. My agent paired up with a U.S. co-agent to shop it stateside and happily it found a very good home with Random House, with an editor who shared my vision for the book and did an outstanding job of helping it sparkle. By the time it was released in the fall of 2008, I Know It’s Over’s journey had been so long that the fact that it was being published didn’t feel so surprising, but it did feel right. More than worth the wait. C. K. Kelly Martin is a film school graduate who began her first novel in a Dublin flat and finished it in a Toronto suburb. She currently resides in the Great White North with her husband and is the author of several young adult books. Visit C. K. at her website or catch up with her on Twitter or Facebook. Congrats, Deena! I’ll email for your mailing address. And thank you so much to everyone who entered and to the author for offering up the prize! NOW: It’s 1985. Freya Kallas has just moved across the world and into a new life. 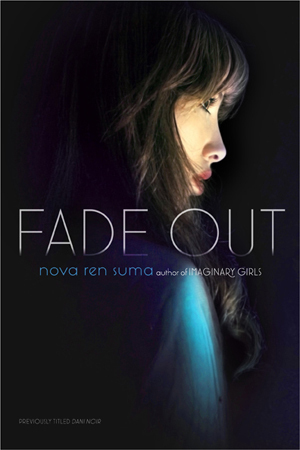 On the outside, she fits in at her new high school, but Freya feels nothing but removed. Her mother blames it on the grief over her father’s death, but how does that explain the headaches and why do her memories feel so foggy? When Freya lays eyes on Garren Lowe, she can’t get him out of her head. She’s sure that she knows him, despite his insistence that they’ve never met. As Freya follows her instincts and pushes towards hidden truths, the two of them unveil a strange and dangerous world where their days may be numbered. Unsure who to trust, Freya and Garren go on the run from powerful forces determined to tear them apart and keep them from discovering the truth about their shared pasts (and futures), her visions, and the time and place they really came from. Fear is a terrible thing for a writer to deal with—and yet it’s probably one of the most universal things we face. Fear of failure, fear of ridicule. Fear of having our dreams taken away by rejection. Fear of being told we’re not good enough. Fear of being told there was some kind of mistake, we don’t deserve our successes. It can be crippling, sticking in the front of your mind like a big gummy blob clogging up the flow of creativity. And as a wise little green guy once said, fear can lead to anger—fear makes us bitter, jealous, looking around at every other writer who has everything we wish we had. I began writing the novel that would become my debut, SKYLARK, in spring of 2010. I’d quit my job the year before to attend a writing workshop that changed my life, and was living with my parents, trying to “do the book thing.” But the thing is, I wasn’t, not really. I poked at short stories now and then, I wrote random chapters of random book ideas, I meandered from project to project. I never finished anything—because what would I do if I finished something? I’d have to send it in to someone. I’d have to get rejected. Because while the workshop I attended taught me years’ worth of craft in a matter of weeks, it also showed me every one of my inadequacies as a writer. Sometimes the fear is illogical—what if my best friend reads this and realizes that I can’t write, and that somehow translates into me being a terrible person, and she decides to hate me? But sometimes the fear is all too possible—what if I send this out and it gets rejected, and the experience is so terrible that it kills my love of writing? What if by trying to reach for this dream, I destroy it? I knew I was afraid. And I felt guilty for being afraid. I tried to push my fears away, to say they were all ridiculous, that I was better than that, that I wasn’t going to sit here and worry my life away. But denying my fears only turned them into a sort of red-eyed monster under the bed, just waiting for me to let my guard down, waiting for me to have one bad day so that the fear-monster could jump on me in my weakened state. But then I got the idea for SKYLARK, which at that time had the working title of THE IRON WOOD. And that was when everything changed. All its other themes and stories and arcs aside, SKYLARK is a story about fear. It follows a girl who’s lived her entire life inside a dome, and when she escapes, she finds that she’s an agoraphobe, and is afraid of wide open spaces—more specifically, she has ouranophobia. She’s afraid of the sky. I decided that it was the right story to write. It was worth writing, and it was worth finishing. Even if it killed my dream, it was the story I wanted to write. Because I wanted to write about someone afraid of something so ubiquitous, something we take so much for granted. Something we hardly even notice. Something she has to see, and has to face, every day. When I first began writing, I intended for my main character to overcome her fear completely through the course of the novel. Her name is Lark—she’s named after a bird. She belongs in the sky. She and I would embark on this journey together, and we’d face our fears together, and she’d be cured and I’d be cured. I’d come out the other side with a finished work, and it’d be daunting and exciting to send it out into the world, but I wouldn’t be afraid. What I learned instead is that the fear never goes away. But I also learned that fear is important. We feel fear for a reason. Evolutionarily speaking, fear is a reaction that kept our ancestors alive—it made us run faster and farther to escape predators, to think more quickly to evade them. In SKYLARK, Lark’s fear keeps her alive too. She keeps to the ruins, to the forests, to the caves—she evades the horrors searching for her in the wilderness beyond the Wall. Over the course of writing the book, and of wading into the writing community at the same time, I came to understand that the fear is valuable. Fear isn’t bad. Being afraid doesn’t make you a bad person. Acknowledging your fears doesn’t mean you’re a coward. Fear led me to prepare my query letter to within an inch of its life. It meant that I could do nothing else to do improve it, and it stood the best possible chance of getting agent attention. Fear made me examine every line, every word of my manuscript, so that the version I sent in response to requests was as good as I could possibly make it. And even after I had a book deal, even after I’d gone through the entire revision process, fear made me pore over the final pass pages, my last chance to make changes to the manuscript, searching for one tiny punctuation mark out of place or a word that shouldn’t be there. But the most important thing is to be able to put your fear aside at the end of the day, to be able to take deep breaths, to not be so afraid that you stop. Even now fear is my strongest motivator. While writing the second book of the SKYLARK trilogy I was terrified that I wouldn’t live up to whatever promise I’d made in the first one—that I was a one-trick pony, and that now everyone was going to find that out. I was afraid of failing all over again. But I was more afraid of letting down my editor and my agent—I was more afraid of not finishing. And so I did finish. And it was the hardest thing I ever did. We left the field of metallic corpses behind and walked on across the valley, beneath the vast and terrible beauty of the dawn. The sky is beautiful—the sky is terrible. And this is the true nature of fear. Because bravery isn’t the absence of fear—it’s action in spite of fear. You can find her online at www.meaganspooner.com, follow her on Twitter at @MeaganSpooner, or on Facebook at SkylarkTrilogy. Congrats, Katrina! I will email for your mailing address. Thank you to everyone who entered and to the author for providing her book for a giveaway! On Revising: Why Can’t It Just Come Out Perfect the First Time? Revision has been on our minds partly because the last assignment is for revised pages, but also because it’s looming there on the horizon for all the first drafts, class assignment or no… When the first draft is done, they will have to revise. We all will. A book won’t get done without revision, and I know how all the hard work eking out those first-draft pages can appear so futile when you look ahead and know you’ll only have to make changes later. And make changes after that. And make changes after that. Honestly, in my experience, there have always been multiple rounds of revision. I’m always writing toward what my book is meant to be, and though I do love this discovery process, when I’m up against a deadline and an inability to make things perfect, it can be very disheartening. I have to tell you, I’ve been frustrated with myself as I’ve been working through revisions on 17 & Gone these past months. First off, frustrated that I can’t seem to articulate certain changes I’ve known I’d have to do for two drafts now. Also because my attempt at fixing things sometimes works to break them worse than before. And simply because I wish I could just get it the first time. Why can’t I just GET IT RIGHT the first time? My editor seems to think it’s perfectly normal for a book to go through multiple rounds of revision like this and for a writer to be getting closer and closer to what she is trying to say with each new draft. She doesn’t seem to think I’m an alien or a hack because I need these revisions. This is what she tells me, so I am choosing to believe her. It’s what I told my class, too, so I should believe what I’m saying, yes? I do believe it. But when you’re deep in it, the end seems so very far away. I keep thinking it will be easier and faster with each new book, but I’m not sure. I do know that I’ve learned some things with this book that I plan to do differently next time. So maybe it will be faster? Check back with me in a year or two. Sure, I wish I could get it right the first time, but my words don’t come out that way. Perhaps there are some magical writing creatures who know the exact right words from the beginning (do these mythical writers exist? )—but most of us will only get our books to be better by going back. By revising. So that’s what I’m doing this week. Working on my book some more to make it as good as I can. I’m close, though. I can feel it. S.J. Kincaid’s debut novel, INSIGNIA, comes out tomorrow, July 10, from Katherine Tegen Books! It’s hard to isolate one single turning point, since there are so many moments that added up and led to Insignia, my debut novel. For the purposes of brevity, I will just discuss one significant day several years ago, sometime in 2008, I believe. I was in the middle of taking an EMT course. I’d already written two manuscripts, but one was cowritten with a friend, and the second one was more a labor of love that I’d hammered away at for two years. I was just starting to toy with the idea of seriously trying to get published, but my plans were still murky. Anyway, the night before I was scheduled to do my mandatory, twelve-hour ride-along with some EMTs in an ambulance, I was idly surfing the writing boards on the internet, and I read about something called NaNoWriMo. It was August, not November, but I thought: This is an awesome idea. I’m going to do it now. I had a choice. I could either go to sleep right away, and get some meaningful shut-eye before my twelve- (or as it turned out, thirteen-) hour ambulance ride, or I could stay up a bit and write the first thousand words of a story and do my own AuguWriMo. You know where this is going. I decided to stay up. A short while later, I had the first thousand words of a story. I was pretty thrilled with the idea of this project, since I’d never written blindly before. I didn’t even care that it was now too late to get much sleep before my ambulance ride the next day. I felt pumped up and wide awake, so my ambulance ride would be no problem. I reread what I’d written and revised in the short time before I had to depart for the morning, and did a lot of feeling-smug-about-my-accomplishment type stuff. That day was the launch point. For the next several weeks, I returned to that story over and over again, with no idea where it was going, where I’d take it, but I just pounded out some words. I’d simply write and write until I had my thousand minimum words for the day. Even on days when I didn’t feel like writing, I wrote. I made the words come out. Finally, twenty-six days after I’d begun, I had a complete YA manuscript. Now, this manuscript was a terrible, angsty piece of melodramatic crap with a huge letdown of an ending, mostly because I’d had no idea as I was writing where it was going, so I didn’t set the ending up, and it read like it was tacked-on and ridiculous. This was a YA manuscript, but it was by no means a good YA manuscript. I learned a few lessons from this, notably 1) I am not a pantser. 2) I never again just churn out something very commercial and meaningless that I don’t care about at all. 3) I don’t like writing heavy romance. 4) I don’t like writing first-person. But those lessons aren’t important right now. This lesson is: I learned that writing could be a viable career path for me. Writing a manuscript with my friend? That was awesome, but it was a bit easier having that buddy in my corner, writing with me. I wasn’t doing all the driving on my own. Writing a story over the course of two years that I just loved? That was also awesome, but turning out one work of true love does not a career make. I had to prove to myself that I could imagine, create, and then put to the pages a whole new story, simply by willing myself to go ahead and do it. I had to prove to myself that I could do something like that without that very long stretch of time for the story to percolate in my imagination, or that friend to cheer me along and take over when I stalled. And when I did AuguWriMo, I did just that. I also learned that there did not need to be some magical force of inspiration, like some wind at my back, in order for words to appear on a page. All there needed to be was the will and determination to write them. I also learned that there were no invisible obstacles that would be hurled from the sky if I decided I was going to complete a story and then chose to do so. This was an important lesson for me, and it made everything else possible. I don’t know if this makes much sense to a lot of other people, but this manuscript is really what gave me a rock-hard confidence that I really was able to do this thing I’d just dipped my toes into. This was the first time I seriously began to think that I was a writer. So, back on that first day of AuguWriMo, I began my writing career. I also began a miserable, hellish day of riding around in an ambulance for thirteen hours after staying up the entire night. I spent about ten of those hours cursing myself for being stupid, fighting the need to pass out, and I still shudder to think back on that awful thirteen hours that never seemed to end. I can definitely say AuguWriMo is the reason I did not become an EMT. It’s also the reason I became a writer. SJ Kincaid is the author of the Insignia series, about a teenaged video gamer who becomes a government weapon in a futuristic world at war. She lives in Illinois, loves Tudor history, and eats too much chocolate. You can find her online at www.sjkincaid.com. Insignia is out in stores tomorrow, July 10, from Katherine Tegen Books! I’m immersing myself in some serious work on the novel this weekend, but I had to stop for a moment and share this story with you. 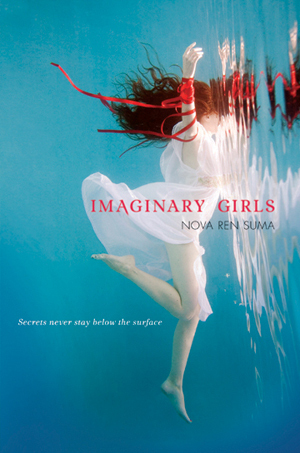 Yesterday I went to go pick up a package at Penguin, the publisher of Imaginary Girls and my upcoming novel 17 & Gone. I live within walking distance to the office, so I walked on over, signed in with security, and went up to the reception area. While my editor’s wonderful assistant Liza was coming out to reception with the package, I happened to turn and notice the book display cases on the walls. I should stop and explain something for those who don’t know me. This wasn’t my first visit to the Penguin offices. Not by a long shot. You see, years before becoming an author, I worked various day jobs in publishing. One of those was as a copy editor for two mass merchandise imprints of Penguin, Grosset & Dunlap and Price Stern Sloan. It was an immensely stressful but also very rewarding job. I worked on more than 200 books a year, from sticker books to picture books to chapter books to series novels to movie adaptations to Mad Libs, and for two or three years out of the four I worked there, I was the only copy editor for all those books. It was a lot of pressure. (Eventually I’d get promoted to senior production editor and be able to hire a production editor to help me; and eventually, I left this job for a new job at HarperCollins.) So there’s your backstory: I’m a former Penguin employee. And when I worked for Grosset and PSS!, my office was on the 14th floor. My publisher with Penguin is Dutton—which is not related to the imprints I used to work for. But there’s one thing Dutton and my former employer share: They are housed on the same floor of the Penguin building. And so there I was on the 14th-floor reception area looking at the display cases, when I thought for a moment, What if my book is in there? …and now, years later, there’s my novel, my heart, in the display case I used to walk by almost every day. I had no idea this would happen. But I have to tell you: It’s everything I would have wanted back then. I know it’s romantic and beautiful and all that to think of authors who suddenly burst onto the scene from out of nowhere, their hardcover novels gracing book displays in New York offices they’ve never visited. But some of us were there in the background for years. Some of us took a long time getting here—and didn’t think they’d ever make it. 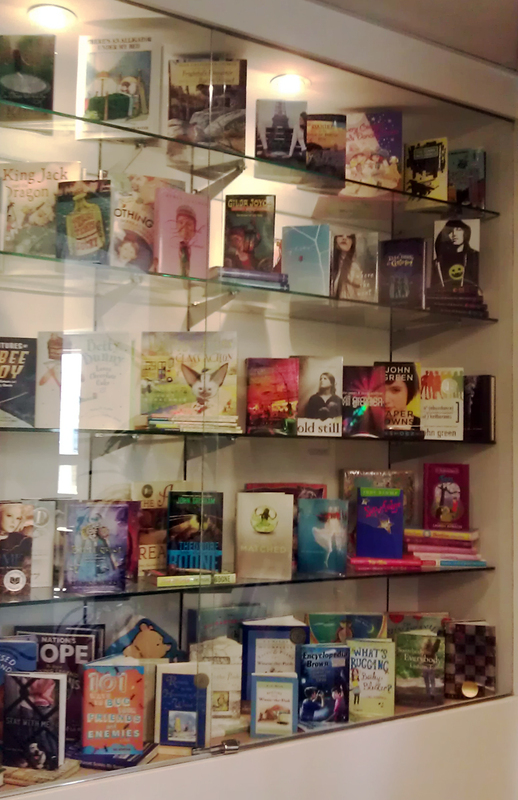 If I’d have known when I worked there that one day my book would be in that display case, I would have cried. External factors can cue the big, stop-and-soak-them-in moments, like my first published work (a short story in 2002), or the date that I signed with my inimitable, indefatigable agent (shortly thereafter). My first original novel published in 2005, and my first “literary” novel in 2006 (followed closely by my first tepid review, which I tried to see as a rite of passage, albeit through gritted teeth). The problem, to me, is that identifying a specific “turning point” in one’s creative endeavors feels limiting. It shrinks one’s perspective, and narrows the long view I try to keep in mind for myself, for my career. It hangs the definition of “success” on fixed externalities over which I have little to no control. Would hitting a bestseller list be a career turning point? Of course. Likewise winning a prestigious award. And I’d revel in those events, naturally. Who wouldn’t? But in the meantime, I’ll revel in reality, in the amazing fact that when I go to work, I am creating stories that, miracle of miracles, some people seem to want to read, that some people even pay for. I’ll revel in the two heady, happy years I spent studying craft, ultimately expanding my scope as a writer, tilting my sensibility away from the commercial (What Would My Cell Phone Do?) and inexplicably toward the thorny, the twisted, the dark (family). Which is not to say that my days as a commercial writer are done. A turning point is not necessarily a point of no return, after all. To be a writer requires a certain blend of insanity and tenacity; to be a professional writer (that is to say, one whose livelihood comes from writing) requires little so much as flexibility. Markets change. Trends change. But I don’t believe that any of us ever truly feel “finished.” (Certainly none of the writers I know do.) And thus, no turning point, however impactful, is truly final. As one author friend told me recently, each piece we write is a lottery ticket, an opportunity to be heard. An opportunity for evolution, for reinvention. And the prize? The pot? The shiny brass ring? That is constantly evolving, as well. Maybe it’s to find an agent, maybe it’s to publish a novel. Maybe it’s to finish a novel. Maybe to join a critique group, or a book club. Maybe. Endless maybe. Also known as endless possibility. The point, then, is to keep turning the page: of your career, of your writing, of your life. Specific, concrete turning points are easier to see in hindsight than in the moment. But the moment is always upon us. Micol Ostow welcomed her daughter on Christmas Day, and wonders very much what this next turning point will bring. Visit Micol at www.micolostow.com. Congratulations, Bekka! I will email you for your mailing address. And thank you to Micol for offering up her own book and Lucas’s book for the giveaway!